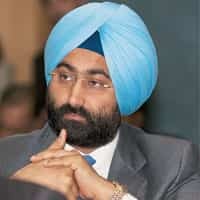 Booster shot: Ranbaxy managing director Malvinder Singh. New Delhi: Ranbaxy Laboratories Ltd increased its stake in Hyderabad-based Zenotech Laboratories Ltd to 45% from 7%, paying Rs214 crore, or Rs160 a share, in a deal that will boost the drug maker’s pipeline of speciality injectibles, cancer and off-patent biotechnology drugs. Gurgaon-based Ranbaxy could spend another Rs112.64 crore to buy another 20% of Zenotech’s shares in an open offer as mandated by Indian securities market rules. Shares of Zenotech shot up 10%, the maximum price rise allowed in its class of shares, to Rs167.30 a share before trading was suspended. On a day when the stock markets soared, Ranbaxy shares fell 0.54% to Rs438.60 a share on the Bombay Stock Exchange. There are no plans to de-list Zenotech, said Ranbaxy’s managing director Malvinder Singh. “It is a clear positive for (Ranbaxy) to get a lead in the oncology segment," said Rohit V. Bhat, an analyst at Mumbai-based equity analyst firm, Batlivala & Karani Securities India Pvt. Ltd. On biosimilars, or off-patent biotech drugs, Bhat said Ranbaxy had taken a long-term bet by buying the controlling stake in Zenotech. The global market for biopharmaceuticals, or drugs such as vaccines that are based on living organisms, is valued at $65 billion. The oncology segment is estimated at about $35 billion and growing at 20% annually. Zenotech’s pipeline of biopharmaceuticals target a potential market of more than $21 billion. The European Union (EU) has just begun approving biosimilars while the US is still contemplating regulatory changes related to such drugs. The first launches in the EU will be earliest by end of 2010, said Singh. Ranbaxy and Zenotech plans to file for seven approvals in speciality injectible drugs. “While Zenotech had the manufacturing facilities and research expertise, we have a strong front end, with operations in 49 countries through which we can push these products globally," said Singh. He declined to give any revenue projections. Founded in 2003, Zenotech already has approvals for three oncology biotech drugs in India—two are the first to be approved for any drug maker— and seven biopharmaceutical products are being readied. “We have a good business model and pipeline but there is fierce competition in the global market. Ranbaxy can help us with their clinical competence, market reach and regulatory expertise," said Jayaram Chigurupati, managing director of Zenotech, who plans to hold a 25% stake in Zenotech. Separately, a senior Ranbaxy executive said the firm will hive off its new molecule research division into a separate business. “We are completely open to hiving it off into a separate entity," Ranbaxy executive director and chief operating office Atul Sobti told the Press Trust of India. Ranbaxy is currently in talks, including with private equity players, he added. On 23 August, Mint first reported that Ranbaxy was considering hiving off its testing services division of its R&D unit and partnering a leading clinical trials firm.